Summer classes started… Ohh no.. Again… (Just kidding) This will be my first time studying in the summer. I am little bit excited about it but also worried that I will miss nice weather outside. It will be so good, just like my place Mumbai. But I guess that is the life of a graduate student. 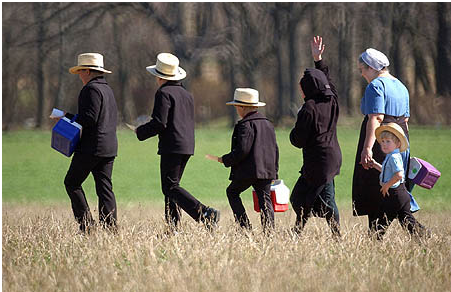 At last, I got a chance to get to know the Amish culture and it was simply amazing. How they choose to live their lives is totally different from our lives. I was inspired by their dedications towards their culture and also faith in their religion and values. I learned one thing after meeting and talking with them is the DEDICATION towards your goals and beliefs. They believe in what they feel is right and just follow it. You really need to have courage to do that. Their life is totally different and one important thing is they choose to live like this because of the religious beliefs. It’s a choice and not enforcement. I was quite inspired by their way of living and also their culture.